HAPPY 2010!! Check out the Books Alive interview of me. I did it in Maryland not too long ago. Kaitlyn and Latley, I don't need your email. I'll answer your questions here. 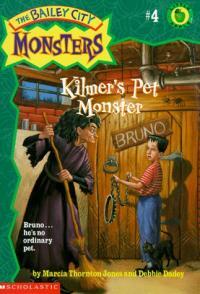 Alex, I think Pricilla Pocus used magic to get the animals to listen to her in Kilmer's Pet Monster, don't you? My dogs are so sweet and I guess I've trained them fairly well. Most of the time they listen to me just because they love me and because I give them treats! HAPPY NEW YEAR! Can you believe it's almost 2010? I hope this year brings you much happiness and lots of fun surprises. Hi to Jessica. Carina, I've written stories with Nathan and Becky, but not with Alex (yet). Becky and I hope to get our story published (I think it rocks). Shannon, I get ideas from lots of places, even the newspaper. My children have given me lots of ideas. For instance, right now I'm working on a skateboarding story since my youngest son is into skateboarding. 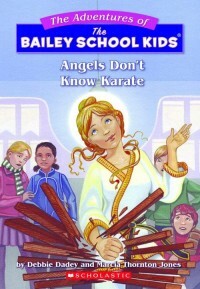 I wrote Angels Don't Know Karate because my two sons took karate lessons (I did too for a while). 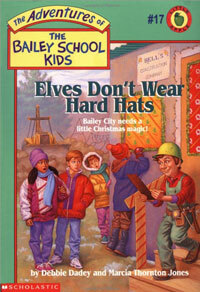 Marcia and I got the idea for Elves Don't Wear Hard Hats from a school near us where the parents and community got together to build a playground that the kids got to design. Alexis, I do like writing chapter books-they're fun. (I'm working on a skateboarding book.) Two new authors-good luck with your writing. I get character's names mostly from the phone book. Amarie, congrats on meeting your reading goal. That's awesome. I hope you'll like Whistler's Hollow. 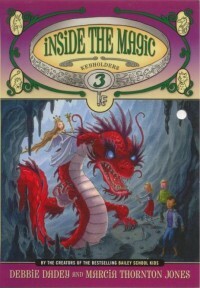 Harshini and Harika, my newest books are #3 and #4 of The Keyholder series, Inside the Magic and The Wrong Side of Magic. Harshini, please tell your little sister I said hello. MERRY CHRISTMAS! I hope everyone has a great holiday. Casey and Salma, I'm so glad you like my books. Casey, please tell your mom I said hello. Bryleigh, thanks for the information. I must admit I like Eddie too and I love red hair! I have no plans to come to TN in 2010, but maybe your school can invite me. Check with your teacher or librarian. It's easy, they can contact me on my event page. Hi Samantha and Kayla, I hope you'll enjoy Whistler's Hollow and Slime Wars. 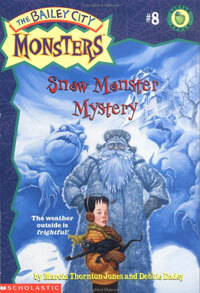 I gave the book to your librarian so you can find out what's in the attic in Whistler's Hollow. Michael, your story sounds cool. Go for it! Emily, I'm not sure if we will do more Ghostville books. Do you think we should? Samantha, I love your funny ideas! Mia, good luck with your writing. You and Michael might like to check out my writing page. Casey and Hannah, you might like to go there too for writing tips. Your dog story sounds very exciting. 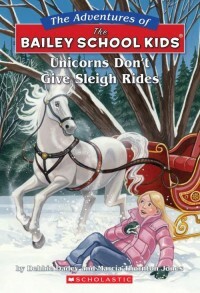 Ashley, I'm so glad you liked Angels Don't Know Karate and Trolls Don't Ride Roller Coasters. I have lots of favorites and this time of year, Angels Don't Know Karate is definitely one of them. Rachael, my least favorite is probably Buffalo Bill and the Pony Express because of some of the changes my editor made without asking me, although I do like the story itself. Ryan, I love your ideas, especially the ones for the Keyholders! Catelin, your idea was so funny. Your mom sounds totally cool. Lexi, what book did you mean? You and Hardika, should go to your school or public library. You can check books out there for free. Kevin, it was awesome to hear from you. It's so strange, I was thinking about you and Brendan from Australia the other day-wondering how you guys were doing. How's fifth grade? A big hello to Larun. Anyone ready for Winter Break? My kids certainly are. They have to go until the day before Christmas though. 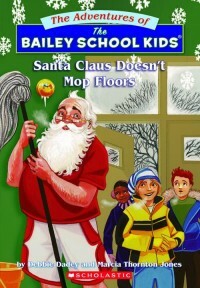 Hi Jorja and Carlos, I'm so glad you like the Bailey School Kids books. Carlos, I like the name Dracula so much I named one of the characters in the Keyholder series Dracula. He's a dragon! 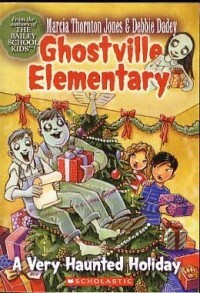 Hunter, I'm glad you enjoy both the Bailey School Kids books and the Ghostville Elementary stories. I am guessing that you read A Very Haunted Holiday. Am I right? Thank you for wishing me a Merry Christmas and I wish you a Merry Christmas too. For me, Christmas is a time to remember that God sent Jesus to us. In fact, to help me remember I put small Nativity scenes throughout my house. I have five of them: one in each bedroom and one in my dining room. The one in my dining room is special because my brother made it for me, but the one is my bedroom is the one that my grandmother had. It wasn't expensive (one still has a sticker from the dime store for 75 cents), but it was my grandmother's (Lillie Bailey) so to me it's priceless. 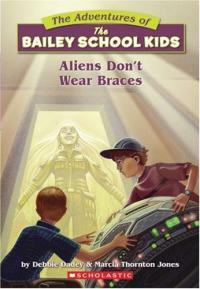 Eloise, I'm glad you enjoyed Aliens Don't Wear Braces. I was just at the orthodonist yesterday with my youngest son. I did not see any aliens there! Nikki, so good to hear from you. Maybe your Middle School librarian would like to get my new Keyholder series. It's a bit harder than the Bailey School Kids books. Bryleigh, I have been lucky enough to meet Judy Blume, but I don't believe I've ever met Barbara Park. 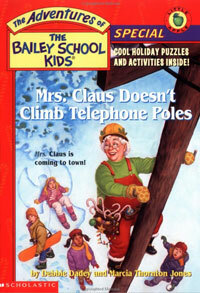 Ashley, I think the Bailey School Kids and The Keyholders are tied for favorite series right now. P.S. To my friend who doesn't want her name revealed, I think being friends is the best way to go now. Best friends do make good boy friends though.